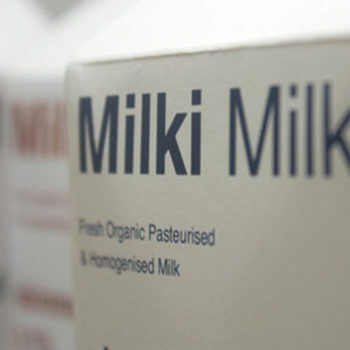 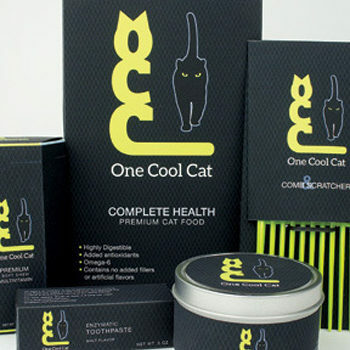 Designed by: Caribou Creative / Laura Prpich, Canada. 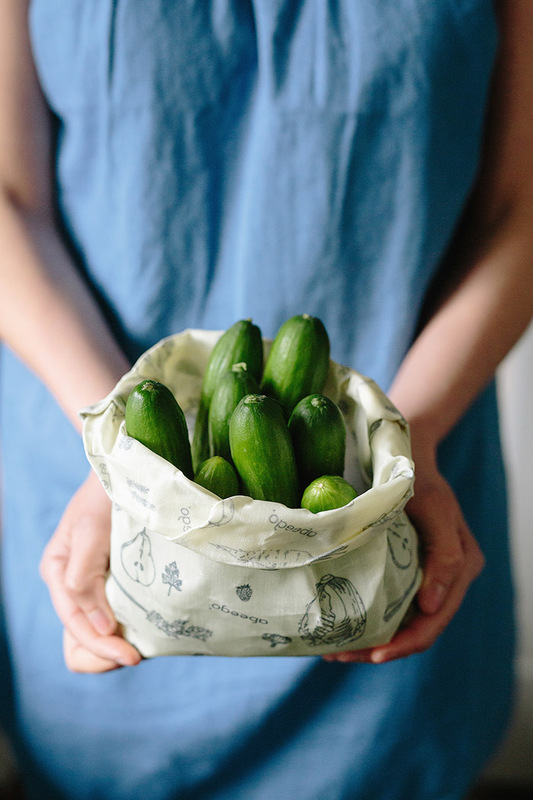 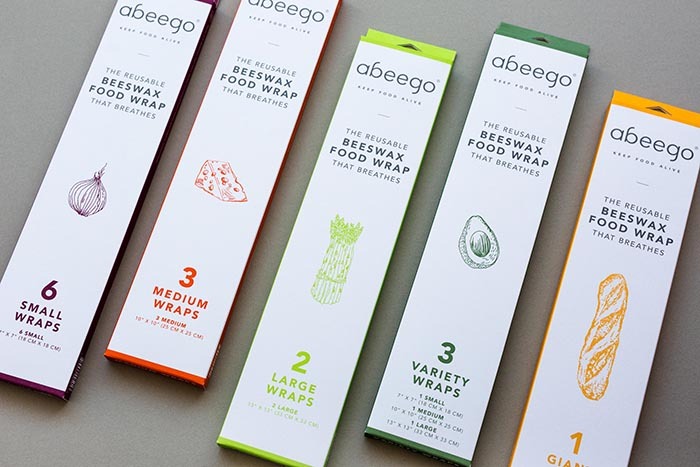 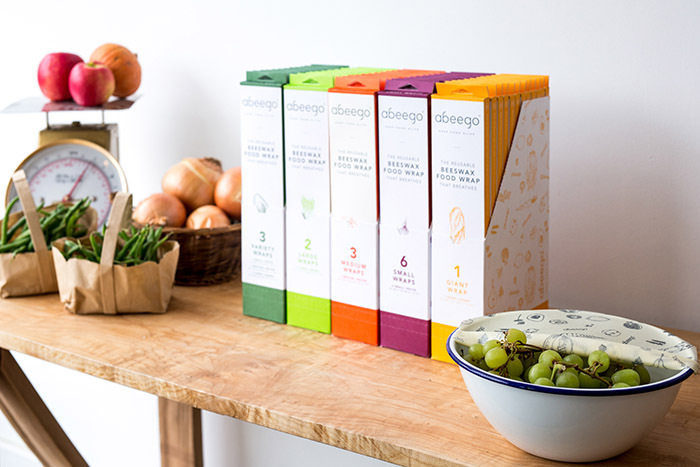 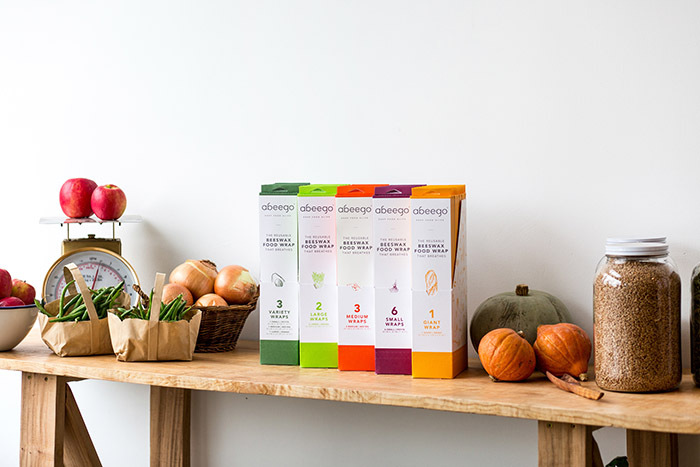 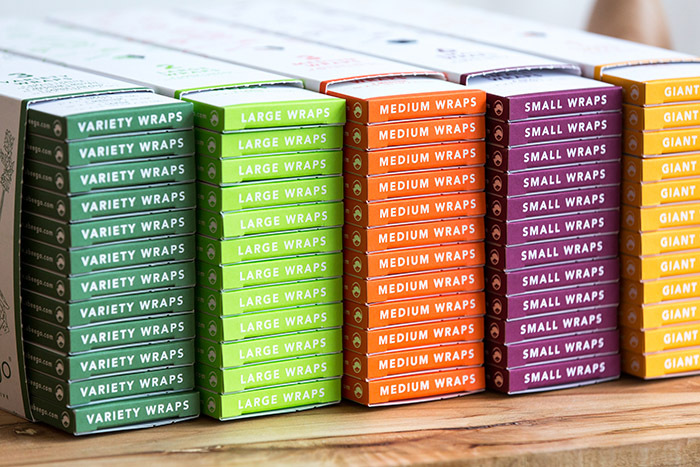 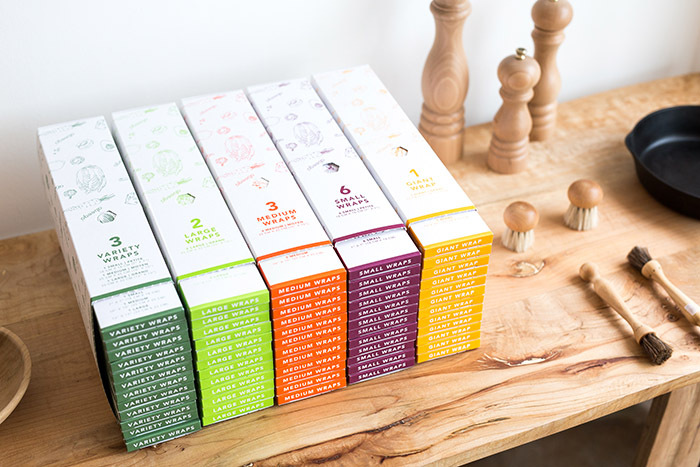 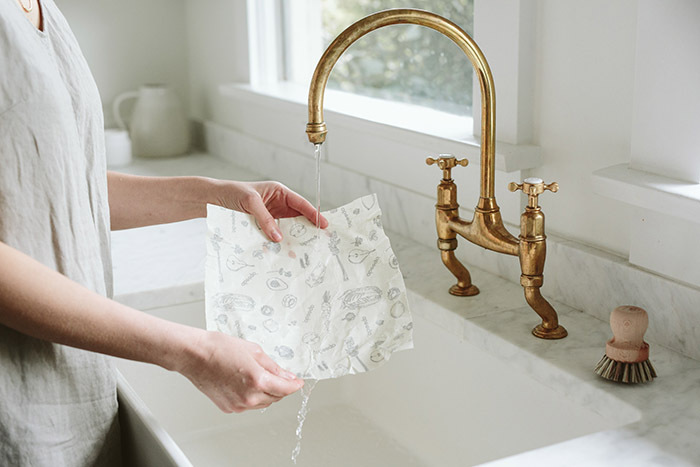 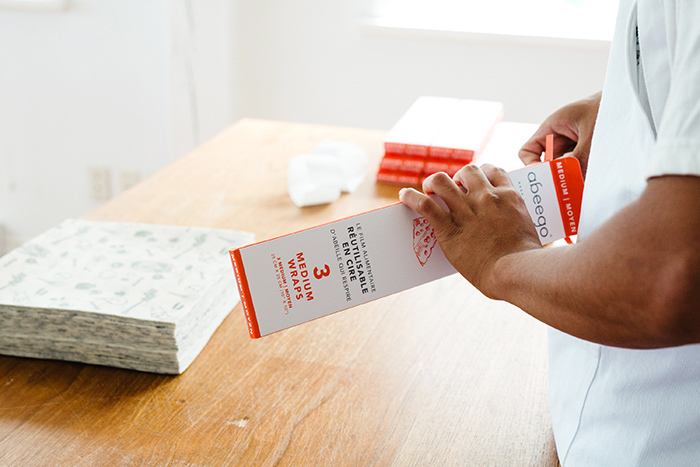 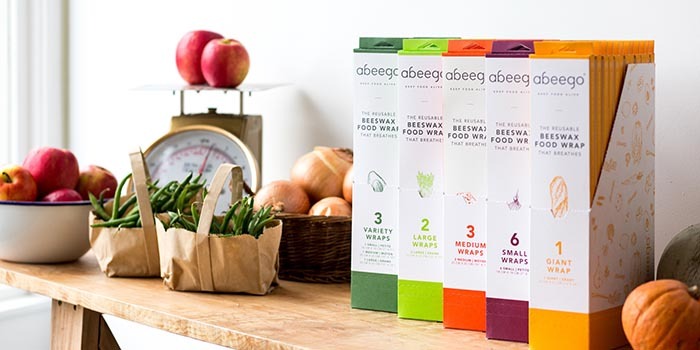 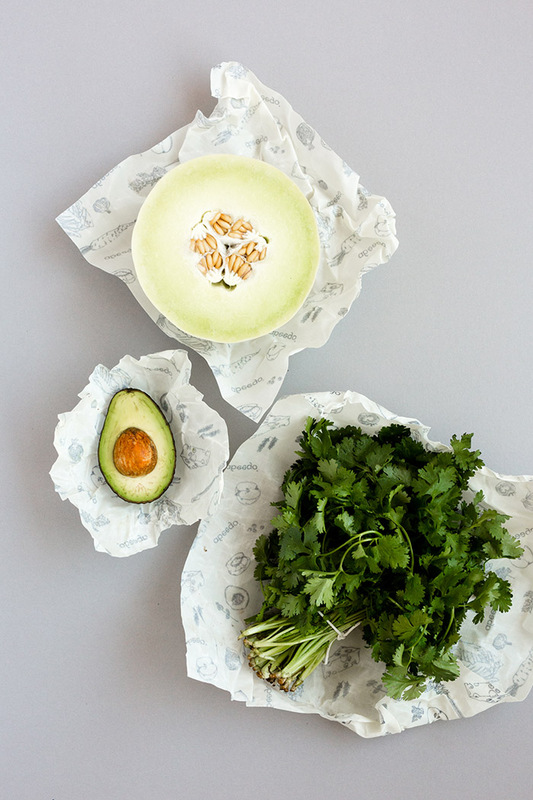 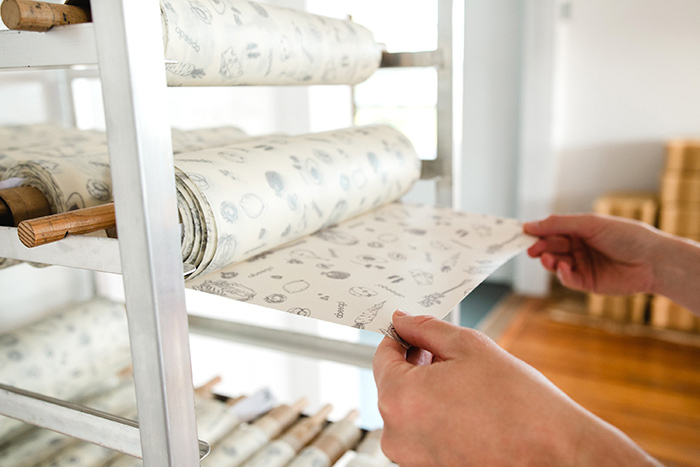 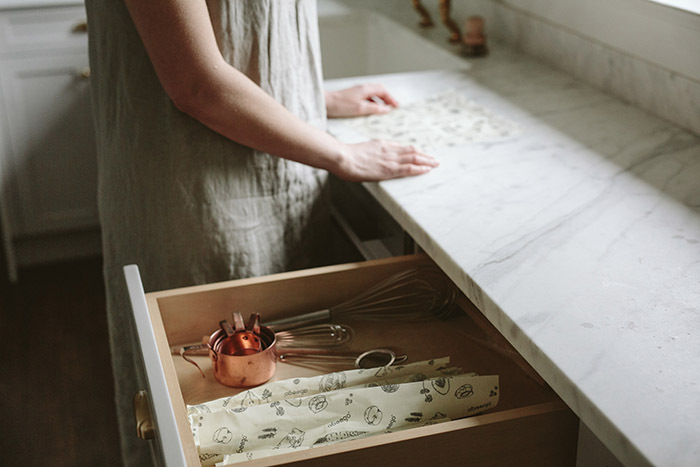 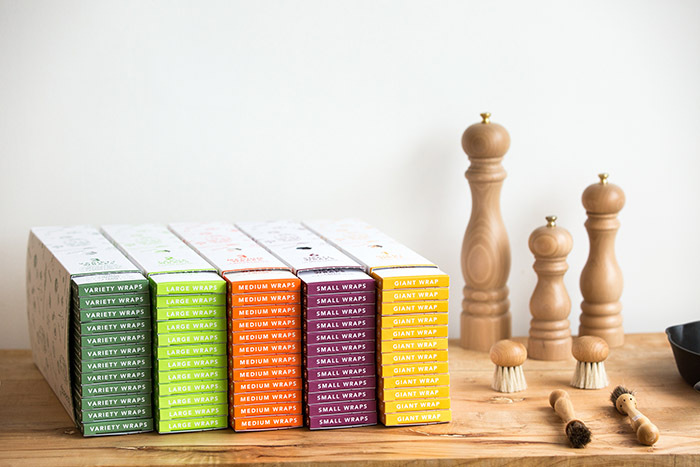 Founded by Toni Desrosiers in 2008, Abeego® is the original all natural beeswax food wrap that keeps food alive. 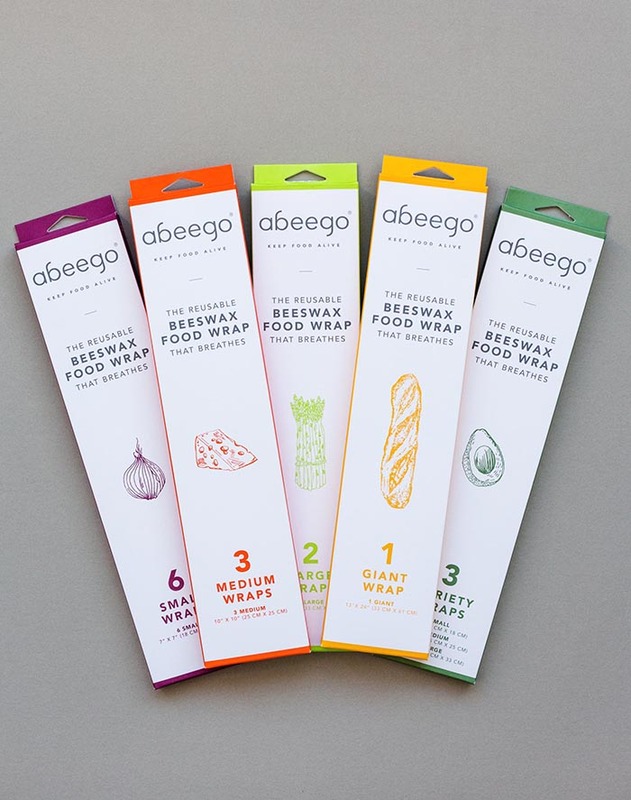 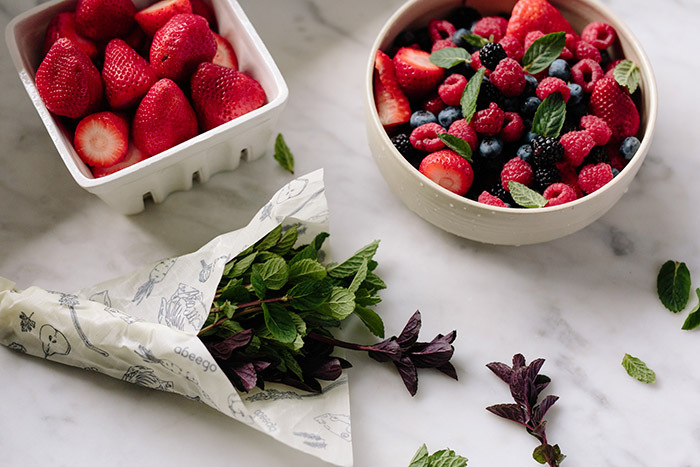 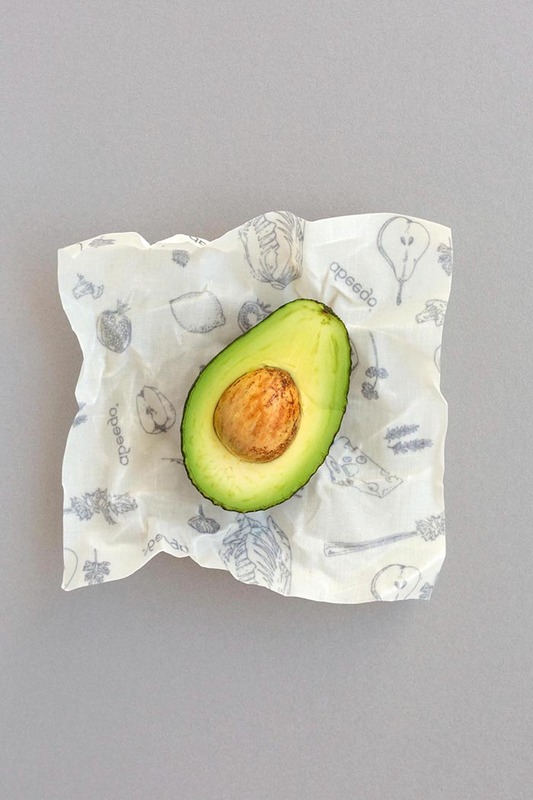 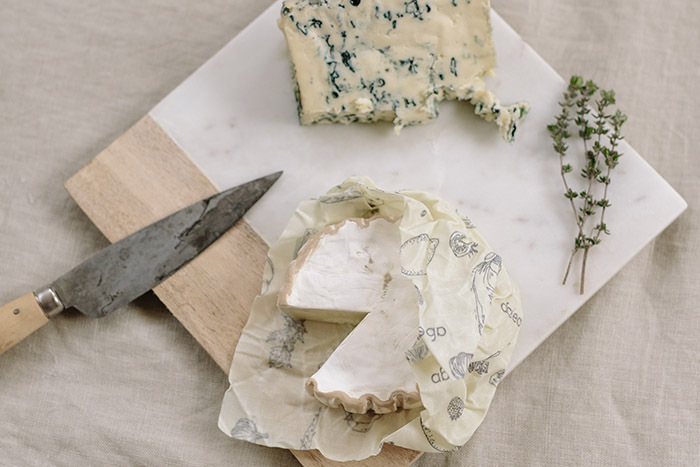 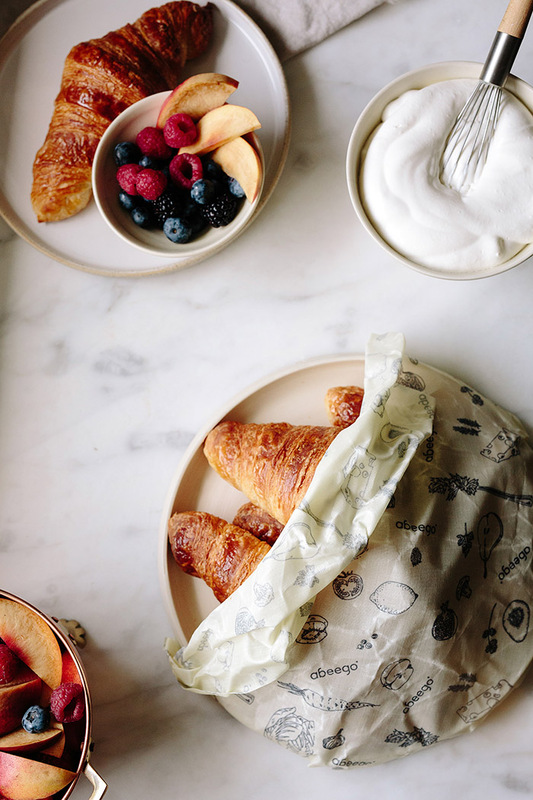 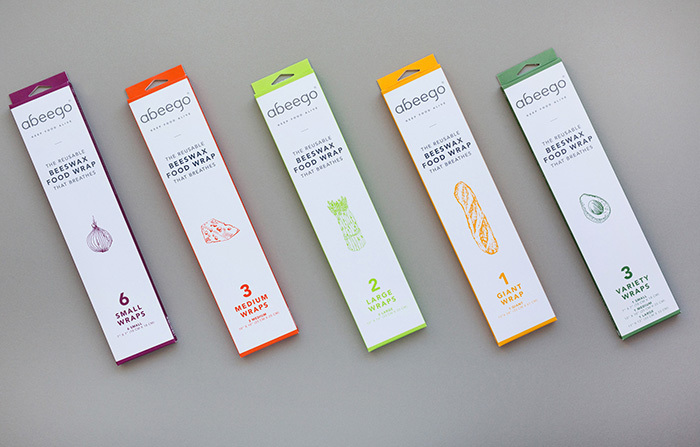 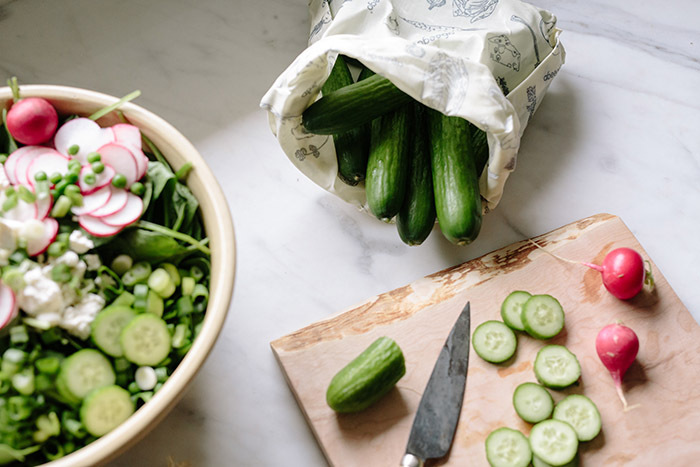 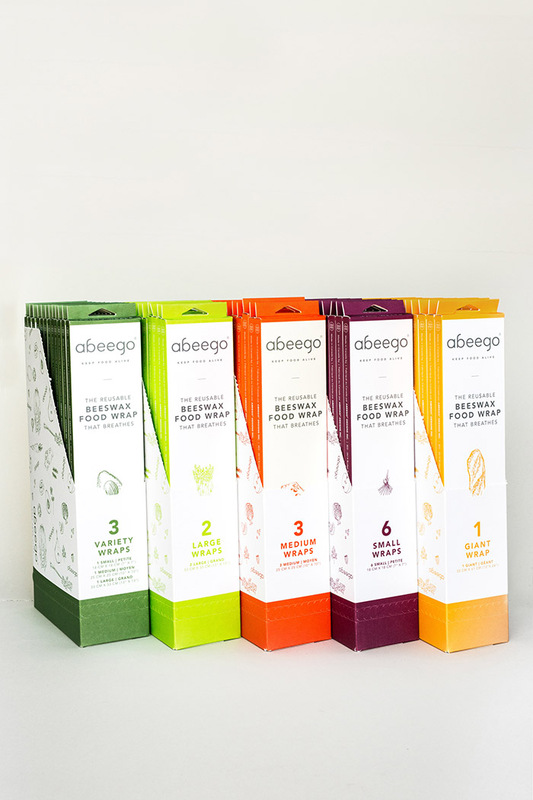 Reusable Abeego® wraps are an affordable and earth-friendly replacement for disposable plastic wrap, and work exactly the way a rind, peel or skin would – it breathes. 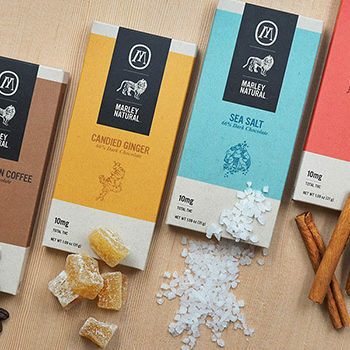 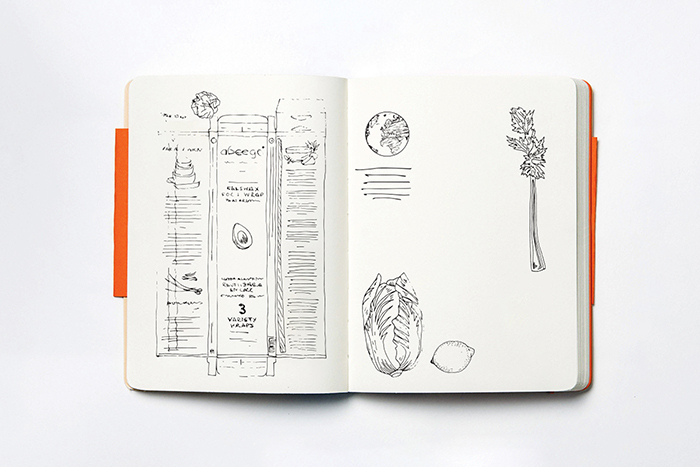 Caribou was hired to create a brand that was not only beautiful – but functional and sustainable too. 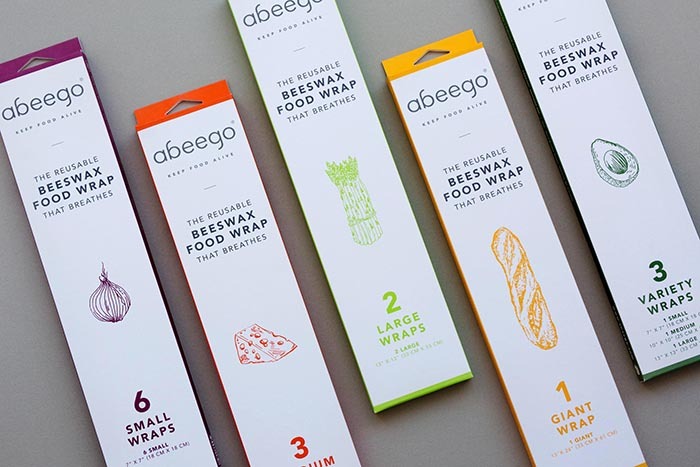 With several options for retailers to display vertically, horizontally or by hanging, this versatile design ensures brand consistency in any environment – from Mom and Pop shops to large retail stores. 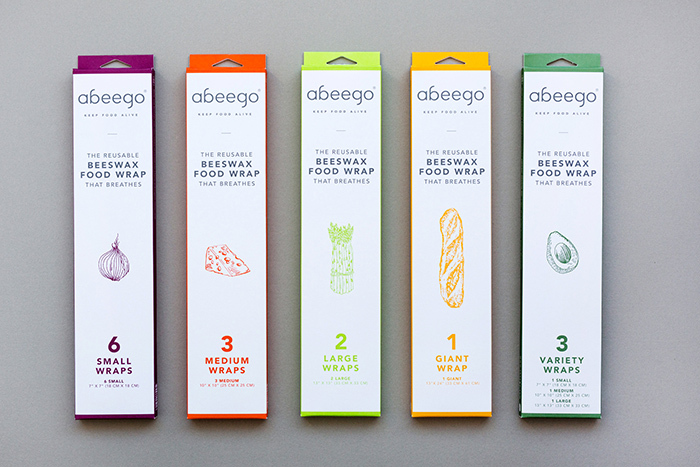 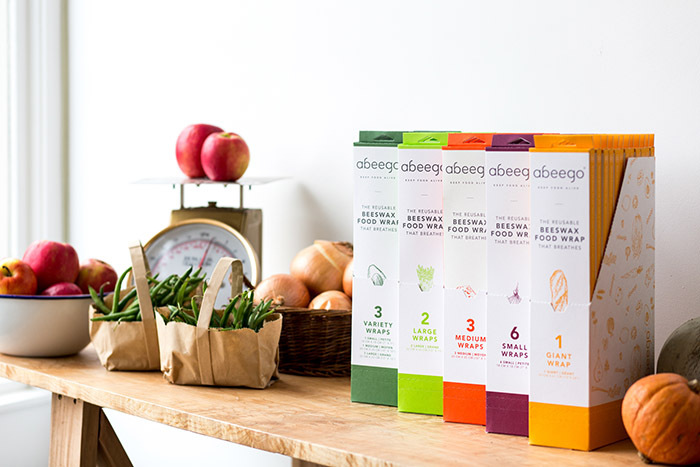 Abeego® products are sold online in stores worldwide.